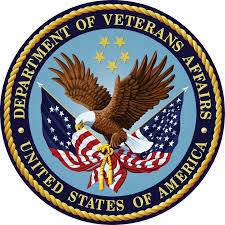 According to the US Department of Veterans Affairs, approximately 20 Veterans commit suicide each day. And in 2014, roughly 67% of all Veteran deaths by suicide were the result of firearm injuries. It’s grim statistics like these that prompted the agency to host an open innovation challenge to develop cost-effective solutions for firearm storage, which Veterans and their families and friends could use to prevent suicide, injury or accidents. The VA’s Gun Safety Matters Challenge was open to companies, individuals, entrepreneurs, venture capitalists and other interested parties and recently announced the winning proposals. In first place was Barret Schlegelmilch, of the Leaders for Global Operations Fellow at the Massachusetts Institute of Technology for DuoBox. This is a mechanical device that provides a secure means of weapon storage and encourages responsible weapon access with two people present. Second place went to a team from Vara Corp for the VARA Firearm Security Response, an “open-environment” biometric safe that revolutionizes access to a securely locked weapon. Fingerprint authentication and other features allow control over access. In third place was a concept called Sentinel, a mobile application that helps Veterans connect with their peers using a “buddy system,” so in a crisis they know they aren’t alone. The system also controls Bluetooth-enabled gun lock boxes. Cash prizes were awarded to the winners. For more information about VA and mental health issues, click here.